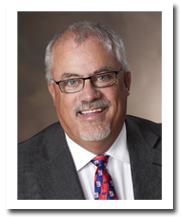 Stephen is the President of Stephen Merritt, CPA, P.C. He has over thirty years’ experience in the field of public accounting, assisting small to medium sized businesses and their owners with all their accounting and tax needs. of America, Stephen Merritt, CPA, P.C. Stephen was raised in Washingtonville, New York moving to Virginia in 1975 with his enlistment in the United States Navy. He served honorably from 1975 to 1979. Upon completion of his military service, he pursued a degree in accounting and graduated from Old Dominion University. An avid golfer, Stephen enjoys nothing better than a day practicing or playing golf at the Bayville Country Club. Additionally, he is a die-hard New York Giants fan. He is married to his life and business partner, Barbara. He has three children, Stephen, Jillian and Michael. Barbara has worked in the accounting field for over thirty years, assisting an array of business and individual clients in the preparation of tax returns, bookkeeping, financial statements, and audits. Barbara became Vice-President of Stephen Merritt, CPA, P.C., in 1996. She meets with clients, works closely with associates, and manages the day-to-day operations of the company. Prior to joining the firm, Barbara worked as an accountant for Cohen & Merritt, CPA, P.C. Later, she became a Comptroller at one of the area’s largest homebuilders for three years, then joined Stephen at Stephen Merritt, CPA, P.C. 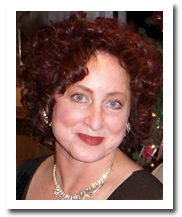 Barbara is a Virginia Beach native and a graduate of Kempsville High School. A pioneer of TCC’s 2 plus 2 degree program, she graduated from Norfolk State University in 1992 with a Bachelor of Science in Accounting. Barbara is a Certified QuickBooks Pro-Advisor. Barbara enjoys playing golf, dancing, and travelling. She shows off her cooking skills to the delight of the office staff on Taco Tuesdays. 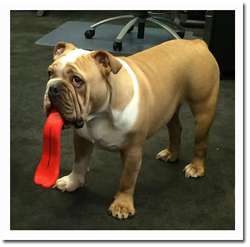 Louis, a 60-pound lap dog, became the office mascot in 2013. He loves coming to the office to check on things and keep us all in line. Today, Louis demonstrates his opinion of the new tax rules! At Stephen Merritt, CPA, P.C, our fabulous staff is always ready to provide professional and friendly service. Give us a call today.